www.kindereads.com | Say No to Bullying! 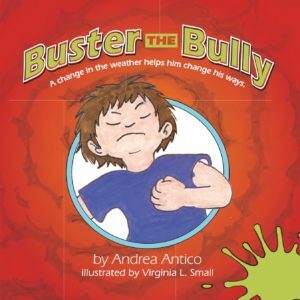 BUSTER THE BULLY was written by Andrea Antico and illustrated by Virginia Small. BUSTER the BULLY is also available as a hard cover book and as a digital edition at Amazon.com and at Barnes&Noble. It’s at the Bookies in Denver. Thank you for visiting Kindereads.com.